Much as observers wish to gain greater understanding by defining different categories of NGOs, it is not possible to do so. We may distinguish different activities, but specific NGOs will often change the balance of the activities they pursue. The most common distinction is between operational and campaigning NGOs. This may be interpreted as the choice between small-scale change achieved directly through projects and large-scale change promoted indirectly through influence on the political system. Operational NGOs have to mobilize resources, in the form of financial donations, materials or volunteer labor, in order to sustain their projects and programs. This process may require quite complex organization. Charity shops, staffed by volunteers, in premises provided at nominal rents and selling donated goods, end up providing finance to the national headquarters. Students in their vacations or during a break in their education provide labor for projects. Finance obtained from grants or contracts, from governments, foundations or companies, require time and expertise spent on planning, preparing applications, budgeting, accounting and reporting. Major fund-raising events require skills in advertising, media relations and motivating supporters. Thus, operational NGOs need to possess an efficient headquarters bureaucracy, in addition to the operational staff in the field. Campaigning NGOs will carry out much the same functions, but with a different balance between them. Fund-raising is still necessary, but on a smaller scale and it can serve the symbolic function of strengthening the donors’ identification with the cause. Persuading people to donate their time is necessary, but, in addition to a small number of people giving a great deal of time, it is also necessary to be able to mobilize large numbers for brief periods. External donors may not impose onerous administrative burdens, but supporters still have to be supplied with information on an efficient regular basis. Major events will aim to attract favorable publicity rather than raise funds. Therefore, despite their differences, both operational and campaigning NGOs need to engage in fund-raising, mobilization of work by supporters, organizing special events, cultivating the media and administering a headquarters. Only the defining activities -implementing projects or holding demonstrations-serve to differentiate them. In reality, the distinctions are not as sharp as the labels suggest. Operational NGOs often move into campaigning when projects regularly face similar problems and the impact of the projects seems to be insufficient. All the large development and environment operational NGOs now run some regular campaigns, at least by supporting campaigning networks. Similarly, campaigning NGOs often feel they cannot ignore the immediate practical problems of people in their policy domain. Human rights NGOs and women’s NGOs end up having programs to assist the victims of discrimination and injustice. 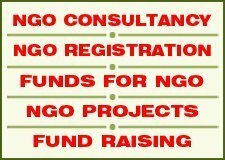 Various other types of NGOs can be regarded as promoting change by variants on these two primary functions. Research institutes have special forms of operational programs, in which the goal is to increase knowledge and understanding. They range across a spectrum from those promoting an academic, non-political image to those collating and disseminating information for campaigning purposes. Professional bodies, trade unions, recreational groups and associations of companies provide program activities required by and for their members, but they may also campaign to enhance the economic interests and the status of their organizations. These categories and several others have some practical value for everyday discourse, but they do not provide the basis for an analytical classification of NGOs. The most effective way to distinguish between NGOs is to obtain precise data on a range of different variables. The number of full-time employees, the number of members and the funding of the annual budget give measures of the size of any NGO. Opinion poll data on recognition of and support for an NGO or its goals, along with the frequency of positive mentions in the news media, give measures of its political strength. There are also more subjective variables, such as the professional skill, knowledge and experience of the personnel, that matter for both operational and campaigning purposes. Among some political activists, there is a tendency to see organizations, particularly hierarchical organizations, as conservative and oppressive. As a result NGOs may be seen as part of the established order. This view is enhanced by the fact that prominent NGOs may have a long history, complex structures, technical literature and a leadership who engage more with global politics than with their members or supporters. 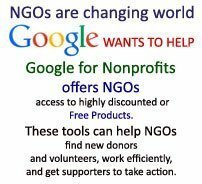 Thus at times NGOs are contrasted with the ‘new social movements’. These can be portrayed as dynamic, innovative and non-hierarchical. The idea of a movement simultaneously invokes two dissimilar ideas: the political impact of mass action, by very large numbers of people, and the role of the individual person, independently making his/her own voice heard. The oldest example,is the labor movement, going back to the nineteenth century. Since the 1960s, there have been references to the new social movements, such as those for peace, women’s rights, development, the environment and anti-racism. They were ‘new’, partly because they were not based on class divisions and partly because new methods of mass mobilization became possible. In December 1999, a higher level of aggregation, into a diffuse and incoherent coalition, was recognized as the anti-globalization movement, when mass demonstrations disrupted the Seattle Ministerial Conference of the World Trade Organization. In practice, the conservative/radical contrast between NGOs and social movements cannot be sustained. There are both conservative and radical NGOs and many other shades of political opinion along the spectrum. There are some writers, including some academics, who refer to ‘progressive’ social movements, as if all social movements were progressive. This ignores the existence of reactionary social movements, such as neo-fascists and racists, who cannot be distinguished from other movements by any objective criteria. Furthermore, NGOs should not be contrasted with social movements, because NGOs are essential components of social movements. If an idea is to catch the imagination of people, it has to be articulated by leaders through speeches, pamphlets or visual images. If the idea is going to reach large numbers of people, resources have to be mobilized and allocated to communication processes. If demonstrations are to occur, they have to be organized. If a movement is to achieve change, priorities have to be selected and targets designated. If a protest lasts more than a few days to become a movement, existing organizations or new organizations will provide the skeleton that transforms an amorphous mass into a strong body. This is not to say that social movements are composed solely of NGOs. A social movement consists of a range of organizations who collaborate for some common purpose that is sufficiently compelling to generate a sense of collective identity, along with all the people, within and outside the organizations, who identify with the common goals and the collective identity. Thus, a social movement is more than a coalition of NGOs and less than society as a whole. In the 1990s, four mutually-reinforcing processes of change led to emphasis on the concept of civil society. There was an explosion in global communication facilities; the new forms of private association, from transnational community organizations to networks and caucuses, were recognized; the fall of communist regimes in Eastern Europe and military regimes in developing countries promoted participation in the new democratic systems; and the major UN conferences produced an unprecedented scale of global public engagement with intergovernmental events. In addition, the secretariats of the UN and other intergovernmental organizations sought to overcome the crises generated by the unilateralism of United States administrations and the failure of Congress to deliver US financial obligations, by appealing to global civil society as a source of legitimacy for international co-operation. The simplest, most common, meaning given to “civil society” is all public activity, by any individuals, organizations or movements, other than government employees acting in a governmental capacity. In the broadest sense, it encompasses all social, economic, cultural and political relations, but the emphasis is usually on the political aspects of these relations. Thus, it can be used in reference to any level from the local to the country as a whole, or even global interactions. It also clearly goes beyond traditional NGOs to all forms of networks, caucuses and movements. As a result, it serves as a political tool for all those who want to promote innovative, wider and deeper levels of political participation. Unfortunately, civil society is also imbued with contradictory and contested meanings. In contrast with the paucity of civil society activities in former authoritarian regimes, it is sometimes implied that civil society is in opposition to government. However, academics who adopt the “critical theory” approach of Habermas take the opposite view. They see civil society as integrated with the state in maintaining bourgeois hegemony in capitalist societies. This approach is virtually unknown outside non-academic circles. A second confusion is whether civil society includes or excludes the economic activities. For some, civil society encompasses everything except government, but for others there are three quite separate realms: government, civil society and the economy. On the basis of the former assumption, the United Nations used the term civil society to express its desire to strengthen its relations with both companies and NGOs. The result was furious protests from those NGOs who blame companies for social exploitation, poverty and environmental degradation. In particular ~ they were most upset to find the UN website providing links to its relations with both business and NGOs from a single civil society web page. (The protests did lead to the UN adopting a wording that separated business from civil society.) Lastly, as with several other terms, some people wish to see civil society solely in a positive light and exclude actors of whom they disapprove. Not only criminals and drug dealers, but also “reactionary” NGOs, are occasionally referred to as “uncivil society”. Despite these various problems, civil society is a useful way of going beyond the traditional NGOs and referring to all the ways in which diverse non-governmental actors are mobilized. Nevertheless~ it is necessary to be explicit on whether economic actors are being included or not. The discussion so far might appear to imply that all NGOs are politically active. This is obviously not the case, irrespective of the political situation or the issue under consideration. At any specific point in time, an NGO may have little contact with those who are not members. On the other hand, a change in society that is salient to the group can motivate an introspective NGO to engage in sustained political action. It is certainly not true that all NGOs are active in global politics. It is not even true that all NGOs attempt to influence politics at the country level, in the narrow sense of direct engagement in the debate over public policy. However, politics may also be seen, more broadly, as the process by which any set of people reaches a collective decision. This means that attempts by an NGO to mobilize individuals and change their personal behavior, to win support from a religious group or a trade union, or to articulate their values in the news media are all forms of political action. Legal systems may classify raising money for purposes such as poverty alleviation, disaster relief or environmental conservation as non-political, but the legal distinction between charitable and political activity is always based on an arbitrary, illogical and controversial definition of politics. Many NGOs will not see themselves as engaging directly in public policy, but their activities are always a social expression of values. Hence~ NGOs are very likely to be political in the broadest sense of affecting social discourse and can often have an indirect effect on politics in the narrow sense of shaping public policy. The point of this debate about terminology is to emphasize that NGOs are not just well-meaning, uncontroversial, non-political groups. Furthermore, there is no difference between the role of NGOs in domestic and in global politics. At both levels, they are diverse, controversial and of major political significance. The impact of a particular NGO may vary across time and place, and from one issue to another, but collectively NGOs generate the dynamics of political change. We have seen that there is often an assumption that NGOs are operating for the general public good or even that they are “progressive”. However, there is such diversity to the values advocated by different NGOs that they oppose each other, as well as putting pressure on governments and companies. Many women’s NGOs oppose religious NGOs on questions of sexual and reproductive behavior. Hunters, farmers and fishing communities oppose animal rights groups. Environmental and development NGOs have different perspectives on sustainable development from each other. Many radical NGOs are hostile to reformist NGOs who accept incremental change. It is not logically possible for anybody to support all NGOs nor indeed to be hostile to all NGOs. Many government leaders express quite hostile attitudes. to NGOs, even in some democratic societies. In as much as this is a general sentiment, it is irrational. There are particular factors that explain the irrationality. Firstly, the increased impact of NGOs has caused resentment among those whom they criticize. Secondly, the claim by some NGOs that they are the “voice of the people” and hence have greater legitimacy than governments is deeply offensive to government officials. As they are quick to point out, it is also a ludicrous claim. Thirdly, the violence and the extreme revolutionary and/or nihilistic attitudes associated with some of the participants in a series of anti-globalization demonstrations, starting at Seattle in 1999, diminished the status of the other NGOs at the demonstrations. In some circles, there was even a generalized negative impact upon NGOs from the terrorist attacks upon New York and Washington in September 200 I. Nevertheless, virtually all government leaders, in both domestic and global politics, including those who have expressed hostility, will work with NGOs when they expect the most active NGOs to be allies, in support of their current political goals. There is often confusion about the role of NGOs in democratic political processes. Denial of their democratic legitimacy arises when democracy is simply reduced to the right to take part in governmental decision-making. Clearly, on this limited basis, NGOs cannot claim a greater legitimacy than elected governments. Many NGOs themselves do not have democratic procedures within their own organizations and many only represent a small number of people. Even the minority of NGOs that elect their leaders, have conferences to decide their policies and have millions of members, still have no basis to claim a right to take decisions on behalf of society as a whole. These arguments were obscured in the 1970s and 1980s when many NGOs significantly expanded their membership and their activities. In this period, more governments were authoritarian than democratic. Under regimes that are communist, feudal, fascist, military dictatorships or corrupt oligarchies it might be reasonable to claim NGOs are more representative of society as a whole, but such regimes have become the exception in a world of democracies from the 1990s onwards. However, a wider view of democracy totally legitimizes the role of NGOs. Democracy is not just the holding of elections every four or five years. It is also the continuous process of debate, in which the legislature, the political parties, the media and society as a whole put questions on the political agenda, formulate alternative policy proposals and criticize the policy of the government. On this basis, any NGO has a right to participate, however large or small and however representative or unrepresentative of a particular sector of society it may be. Indeed, in both domestic and global politics, policy-making could not be democratic without the active participation of NGOs. Nevertheless, their legitimate role in sustaining an independent civil society does not give them any right to supplant the role of governments.